Maybe it’s thematically appropriate that attempted adaptations of Neil Gaiman’s The Graveyard Book keep dying on the vine. The 2008 children’s fantasy is preoccupied with death and the macabre; it’s a sweetly morbid take on The Jungle Book, centering on a baby who toddles away from the house where his entire family has been murdered, and winds up living in a graveyard, raised by ghosts and monsters. It’s an unlikely project for beloved Arrested Development narrator and less-beloved mainstream director Ron Howard to take on, but he’s reportedly in negotiations to take over the adaptation. 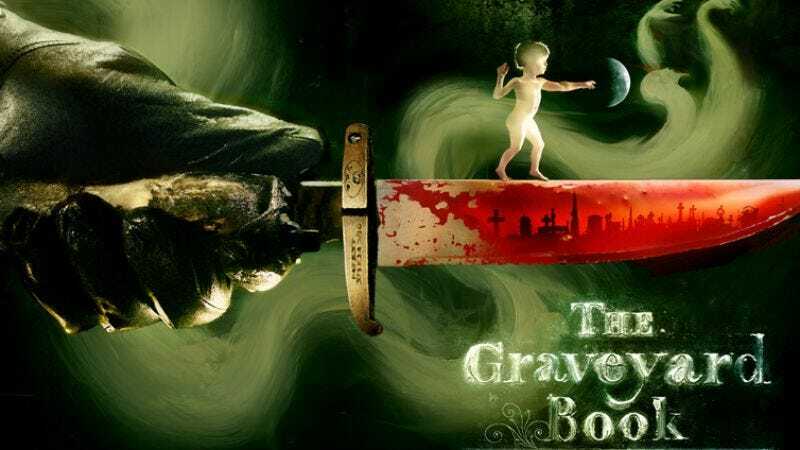 Gaiman himself announced in early 2009 that Crying Game writer-director Neil Jordan had signed on to adapt Graveyard Book. Then in April 2012, Disney bought the project, and shortly afterward, Nightmare Before Christmas director Henry Selick signed on to direct it as a stop-motion film, as he had with the Oscar-nominated 2009 Gaiman adaptation Coraline. The timeline for his adaptation was never clear, since he was also working on his own original stop-motion film for Disney/Pixar at the time, under various reported titles, including ShadeMaker and Shadow King. In August, Variety reported that Disney had pulled the plug on Selick’s original project, but that Graveyard Book would continue as planned. Now Ron Howard has been tapped to possibly take over, possibly based on his extensive background in children’s entertainment and fantasy, which is to say that he directed Willow back in 1988 and ruined How The Grinch Stole Christmas for an entire generation in 2000. Howard’s directorial projects have tended more toward the adult, respectable, and mainstream over the last decade-plus, with A Beautiful Mind, Frost/Nixon, and Cinderella Man netting a whopping 16 Oscar nominations between them. (Grinch and The Da Vinci Code were less fortunate come Academy Awards season, but they both brought in money by the barrel.) Howard’s version of Graveyard Book would apparently be live-action; there’s no word yet on whether he plans to make it into a Grinch-esque loud, squalling comedy, or find an entirely different way to not be as perfect for the material as either Jordan or Selick.